Hot Right Now: What's The Big Deal With Lava Countertops? Hot Right Now: What’s The Big Deal With Lava Countertops? There are so many countertop materials out there to choose from, but only a few are near the top of the list in terms of what’s trending right now. However, if it’s worth the expense to upgrade your kitchen, then a trendy countertop material will definitely catch your eye. For example, what do you think about installing lava countertops in your home? Take a closer look to see whether or not they’re the right choice for you. Granite, marble, quartz – there are plenty of countertop materials that might be your choice if you love an upscale look in your home. However, lava has something new and intriguing to offer: a long list of practical advantages and aesthetic qualities that are hard to turn down. Why is lava such a trendy option? Of course, we’re all asking the same question at this point: why is lava such a trendy choice right now? Let’s start by looking at some reasons why lava countertops are a tasteful style choice for many homes. 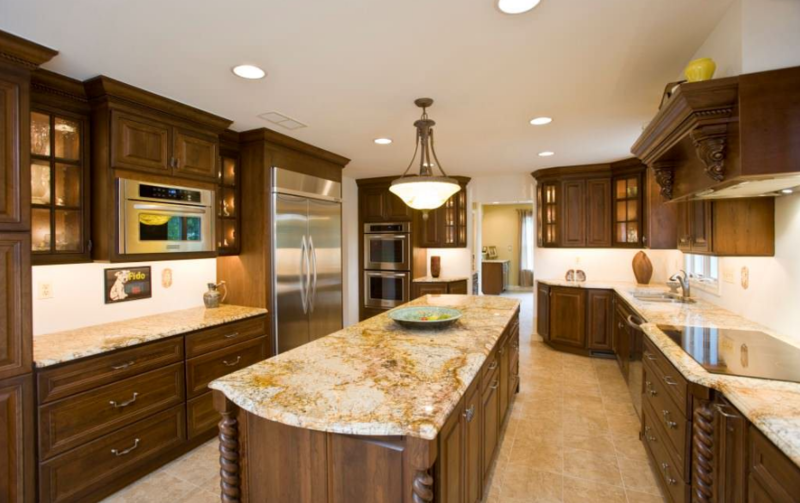 The same old patterns and colors offered over and over again in some types of natural stone countertops can get a little old. This won’t be a problem you’ll encounter with lava. Instead, there’s a wide range of colors for you to choose from. After a lava countertop has cooled down from the process of glazing and firing, small cracks will naturally appear across its surface. This phenomenon, called “crazing,” actually adds to a lava countertop’s beauty by giving it a unique texture which many people find attractive. You’ll also have the option to choose between a glossy finish or a matte finish for a lava countertop, which means you can tailor the countertop to your interior design even more closely. However, keep in mind that there are fewer color options if you choose a matte finish. So, would you love these countertops in your home? Aesthetic isn’t the only thing that matters, of course. Chances are, you’d like your countertop to be durable and stand the test of time. This is where lava begins to sound like an even better choice – the practical benefits of this countertop material are also pretty tempting. Lava countertops are extremely resistant to scratches, cracks, and nicks. 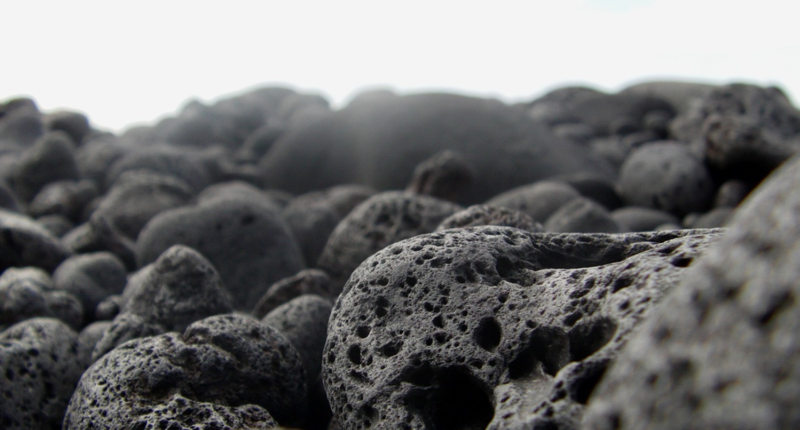 Of course, lava won’t experience heat-related damage, considering that the material actually originates from volcanic rock. You can place hot pans on this countertop with no negative results! Lava countertops are also resistant to excessive cold. Stains won’t be a problem with these countertops. Additionally, they won’t sustain water damage. They’re non-porous, so they won’t gather bacteria. Due to their durability, if you decide to install lava countertops, they’re going to be a part of your home for a long, long time. This means you won’t be shelling out money to replace your countertops for a while. In other words, even though lava countertops are pricey, their durability and longevity makes them fairly cost-effective. Unlike some countertops, there’s no upkeep required for lava countertops. You won’t have to seal them every so often like you would with other materials. 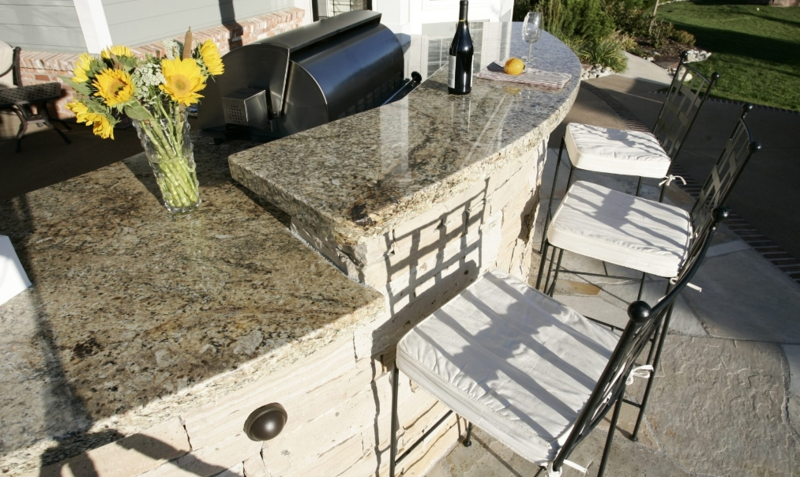 To top it all off, one of the benefits of lava countertops is that you can use them either indoors or outdoors. So, you can also use lava if you’re planning to redesign your outdoor look. In the end, no matter what the pros and cons are of different types of countertops, your kitchen design is completely up to you! If you enjoy a luxury look, lava is a great choice for you. Concerned with your kitchen looking too traditional? You can easily find a brightly-colored, unique lava countertop that’ll make your home look anything but mainstream. Ultimately, it’s up to you!